You will receive an email in the email address you provided at registration. Click the link in your email to activate your account. 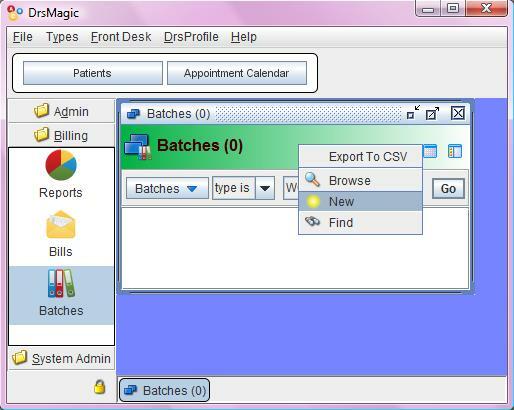 DrsMagic performs stringent error checking for the batch to avoid claim rejection, it prints an error log if any errors found, otherwise it outputs the electronic batch (XML or EDI batch), so you are ready for uploading. If you created a CMS1500 batch, all new CMS1500 bills will be collected to the batch. (Same with other batch types). 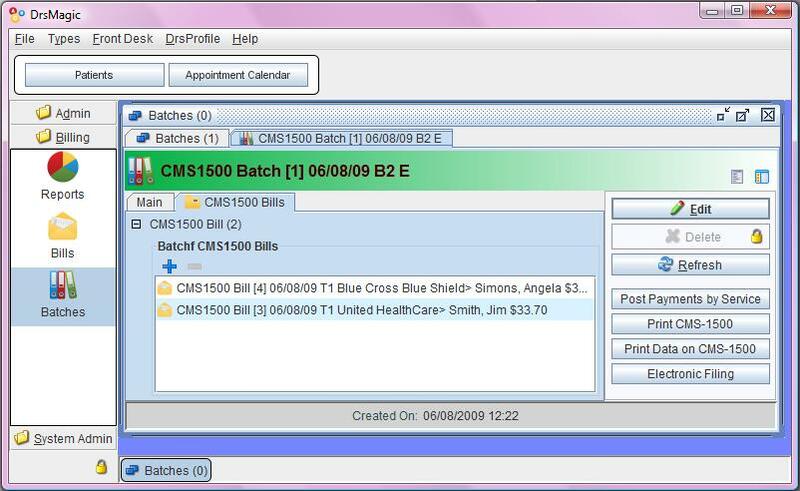 Print forms button will print all forms in the batch. Upon uploading, you'll get a confirmation messge. You'll receive email confirmation about the batch submission or any errors need your attention.